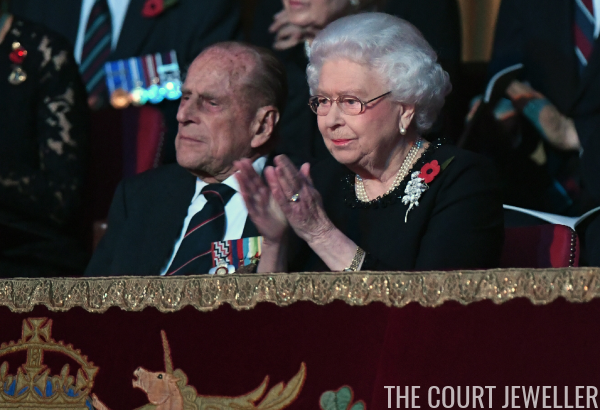 The British royal family gathered last night at the Royal Albert Hall for the annual Festival of Remembrance, an evening of performances to remember and honor the sacrifices of the nation's military service members. 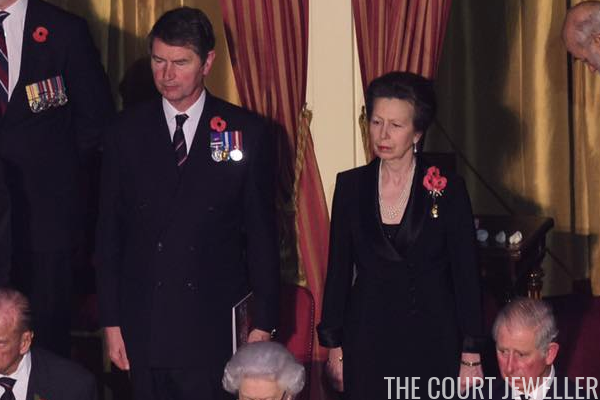 Here's a look at the jewels they wore, which were in line with the solemn nature of the event. 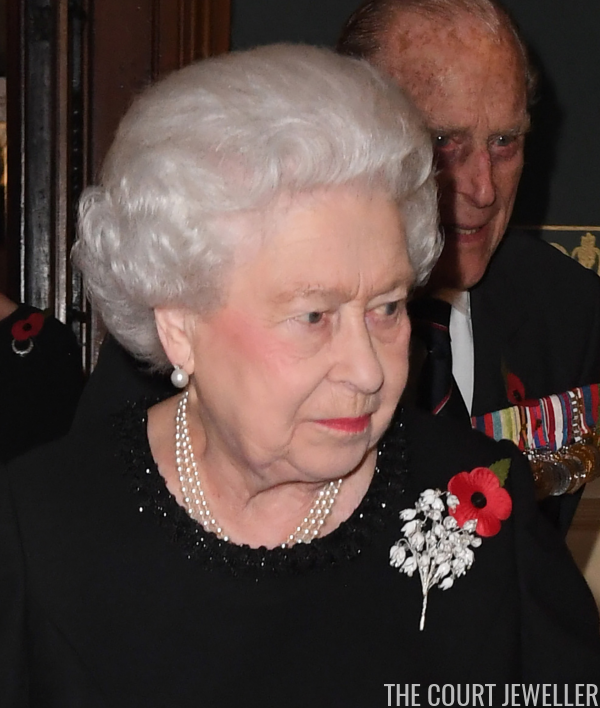 The Queen secured her poppy with a newer brooch from her collection: the Bronte Porcelain Brooch, which she wore for the first time in Northern Ireland in 2014. 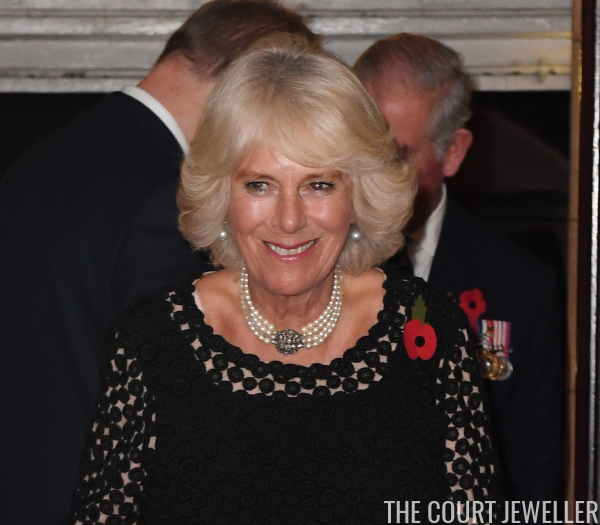 The Duchess of Cornwall chose her standard jewels: one of her pearl choker necklaces with a diamond clasp, and her pearl and diamond earrings. 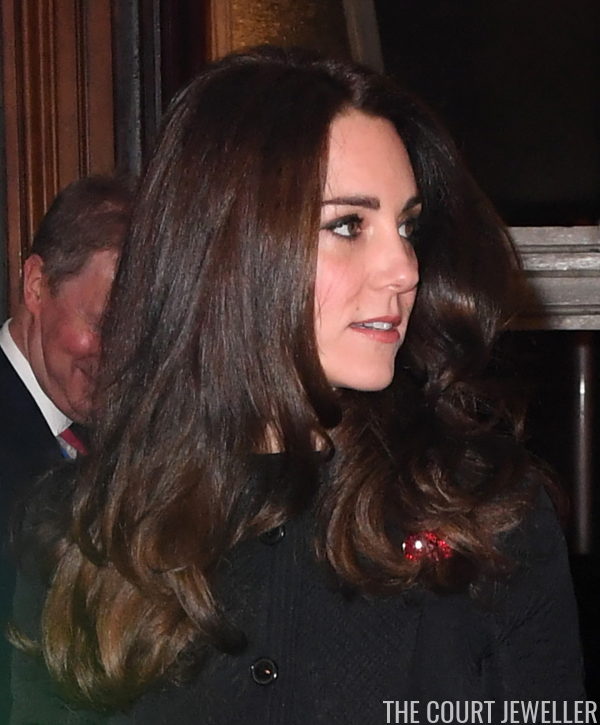 The Duchess of Cambridge's jewelry was difficult to see, but you just get a hint of one of her crystal Buckley London poppy brooches here. Kate also wore pearl earrings (Anna posits the new Oscar de la Renta faux pair). 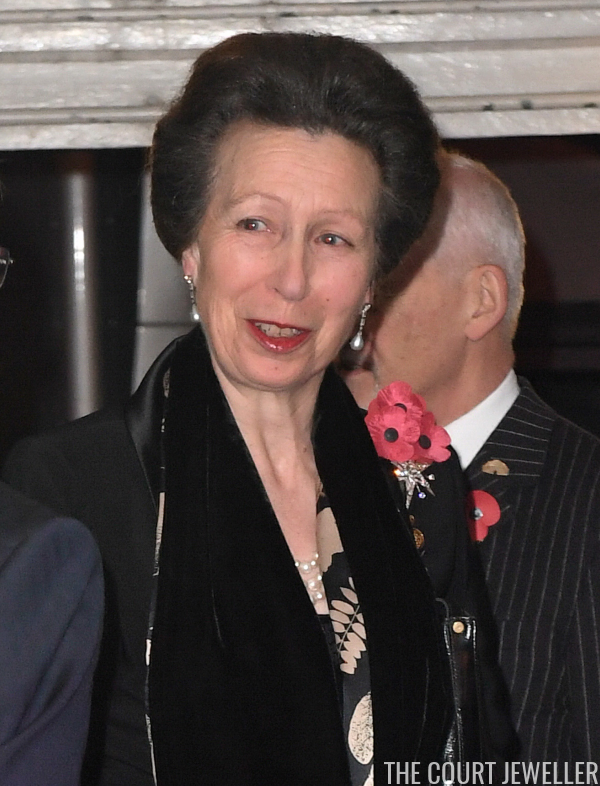 The Princess Royal was one of the most elegant women in attendance, wearing pearl drop earrings, a multi-stranded pearl necklace, and her diamond star brooch, which secured a gathering of poppies. Here, you get a better look at her necklace, plus her other jewels. 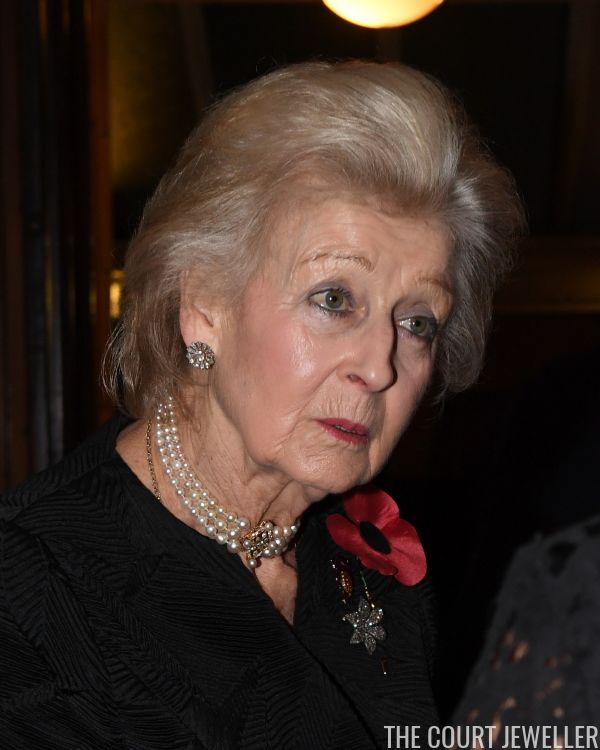 The Countess of Wessex arrived in a pair of lemon quartz drop earrings from Heavenly Necklaces. 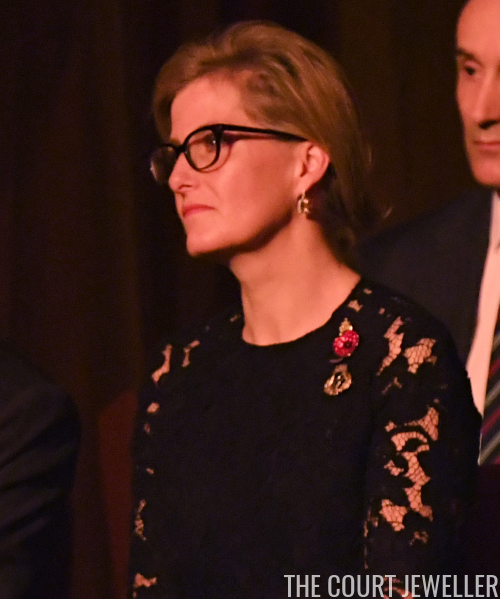 Once she removed her coat, we could see that she also wore a poppy brooch from Buckley London and the badge of the Corps of Army Music (CAMUS). Sophie is their Colonel-in-Chief. 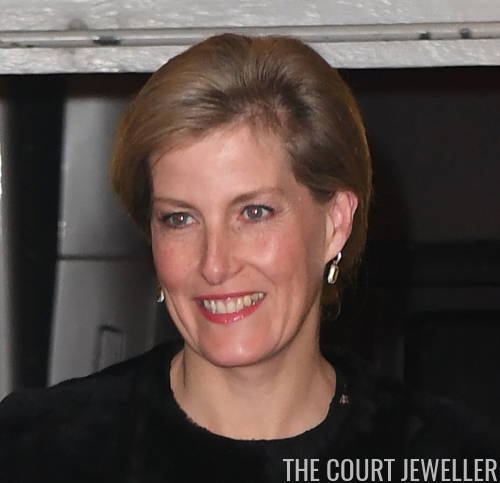 We got a great look at Princess Alexandra's jewelry, including diamond daisy earrings, her pearl choker with the geometric clasp, and her diamond floral brooch. 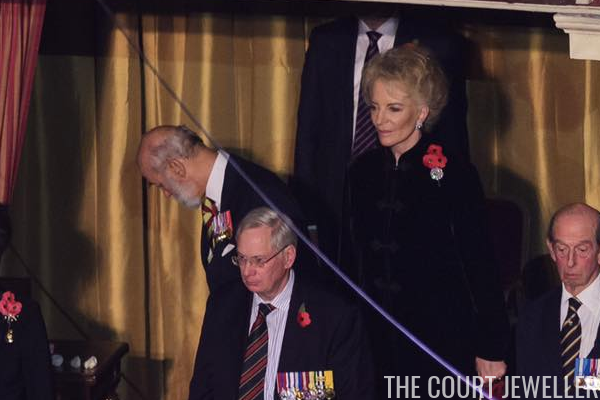 And there was one more Kent lady in attendance: Princess Michael, who secured her poppy with a sparkling brooch.